Browse our range of easy to fit balustrades and staircase banisters online from Savoy Timber. We offer great prices on many DIY products to help you complete your next home project. Buy online or in store. Fast delivery to your door. Savoy Timber - DIY Made Easy! 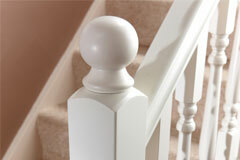 Browse our range of replacement stair spindles online from Savoy Timber. We offer great prices on many DIY products to help you complete your next project. Buy online or in store. Fast delivery to your door. Savoy Timber - DIY Made Easy! Browse our range of newel posts online from Savoy Timber. We offer great prices on many DIY products to help you complete your next project. Buy online or in store. Fast delivery to your door. Savoy Timber - DIY Made Easy! 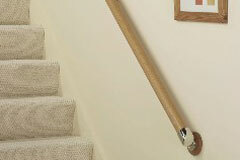 Browse our range of replacement handrails for stairs from Savoy Timber. We offer great prices on many DIY products to help you complete your next domestic project. Buy online or in store. Fast delivery to your door. Savoy Timber - DIY Made Easy! 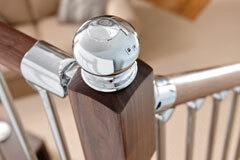 Browse our range of handrails for stairs online from Savoy Timber. We offer great prices on many DIY products to help you complete your next project. Buy online or in store. Fast delivery to your door. Savoy Timber - DIY Made Easy! 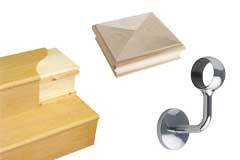 Browse our range of stair parts and accessories online from Savoy Timber. We offer great prices on many DIY products to help you complete your next project. Buy online or in store. Fast delivery to your door. Savoy Timber - DIY Made Easy!